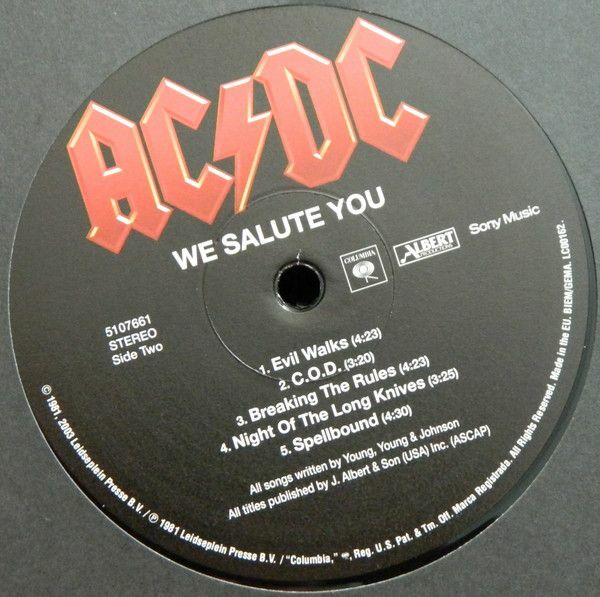 2009 EU reissue on 180g vinyl LP-AC/DC's hot streak began to draw to a close with For Those About to Rock We Salute You. 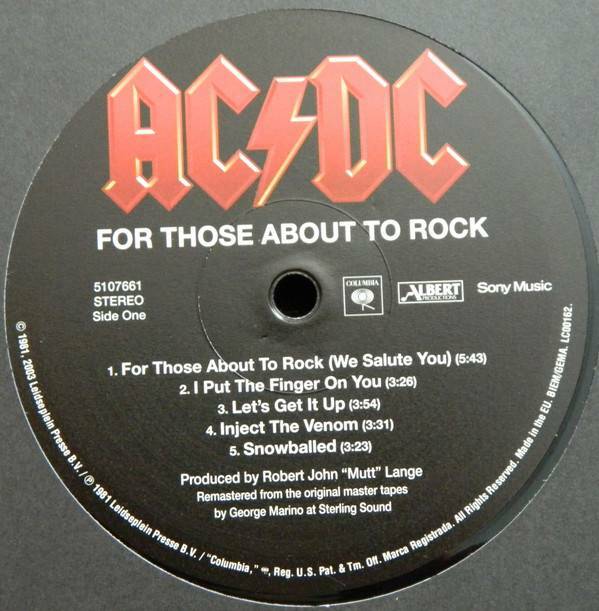 While Back in Black was infused with the energy and spirit of paying tribute to Bon Scott, it became apparent on the follow-up that the group really did miss Scott more than it initially indicated. Brian Johnson's lyrics started to seem more calculated and a bit clichéd, lacking Scott's devil-may-care sense of humor. And the band itself slowed down the tempo frequently, sounding less aggressive and inspired. There is still some decent material here -- the title track, for example, which became a concert staple with cannon-firing sound effects.